Looking for Dominican Republic Facts and Figures? Well here you can find some essential links to all the Dominican Republic facts, figures and statistics you might need. If you are searching for some information on the Dominican Republic? Well then we hope our 'Dominican Republic facts' page can be of assistance. 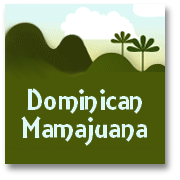 If there is anything you cannot find on the site let us know via our Contact page and we'll do our best to get the answer, and add some more 'Dominican facts' soon ;D.
What we have tried to do here is provide a lot of the basic Dominican Republic information, figures and statistics that can be pulled together from studying various sources. We have summarised this information on the Dominican Republic along with any useful 'need-to-know' kind-of-stuff. Do you still require more in depth Dominican Republic facts and information? 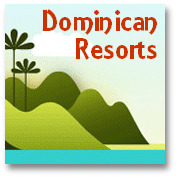 We have also summarised below several useful 'written' sources of Dominican Republic facts and travel information. We also suggest and list some additional useful Dominican Republic books, maps and guides here, one or more of which you might like to obtain if you want to take your pre-visit research to 'the next level'. Uruguay as tourists only for a maximum of 90 days available at port of entry for US$10. The Netherlands; Portugal and Spain in possession of a valid passport and tourist card. Nationals of Australia; Canada and the USA and Peru in possession of a legal tourist card valid for 60 days from point of entry. CLIMATE: The island has warm weather all year around, with gentle tropical breezes. For more in depth details please visit our weather page. AIRPORT DEPARTURE TAX:Please ensure you have to hand US$ 20.00 before boarding the plane, because this the amount to pay before you are allowed to leave the country (almost enough to make you decide to STAY :-D)! - Passengers under 2 years of age and those in direct transit are exempt from paying this 'tax'. TRANSPORT: There are several transport system operating in the DR, the most important ones are Metro and Caribe Tours. Among locals the most popular form of transport are “guaguas”. For more about public transport, plus information about Dominican Republic car rental and taxis, please visit our transport page. For making economical calls to the DR from around the world it is recommended that you obtain a 'Pre-paid phone card'. Take a look at our 'making low-cost international calls' page. CURRENCY: The Dominican Republic’s monetary unit is the peso, written RD$. Import and export of local currency is prohibited. You can find ATM in major cities, there are over 100 locations throughout the country. Most establishments will accept payment in dollars, and many also now accept Euros, but you may change travelers cheques and currency into Dominican Pesos at the 'exchange post' in hotels or in any local bank. NEVER be tempted by offers to change money in the street. This is a REGULAR SCAM. You WILL BE short changed - no matter how good a rate you are offered. Many unwary tourists fall prey to these currency exchange scams every year, PLEASE don't be one of them! CREDIT CARDS: All major credit cards are accepted. Travelers cheques, in any international currency, are accepted by some banks - although US$ cheques are most widely accepted. BANKING HOURS: All banks open from 0800 - 1600 Mon. to Fri.
ELECTRICITY: The intrenal electrical outlets/plug sockets in the Dominican Republic are of the American style. Electricity is 110 volts and 60 cycles. Please be aware that the country suffers regular blackouts. You will find that most hotels have their own generators, but a flashlight will be always handy! POPULATION: Population stands close to the 12 million mark, though final official results of the recent census have not been made public, the city of Santo Domingo now claims it has around three million inhabitants. LANGUAGE The official language of the Dominican Republic is Spanish, though English, French, German and Italian are spoken in most tourist areas and by tour guides. A good Spanish phrasebook/dictionary is VERY USEFUL to tajke with you if you plan to tour around and see the real DR, inland there are many areas where few people yet speak English or other languages. 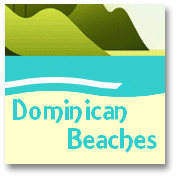 Well, we are sure there many more Dominican republic facts and loads more information to include on this page, and we will keep adding useful items as we discover them, so please do check-in again here, soon! Maybe you would like to help us? 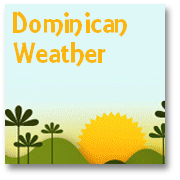 Why not send us any ideas about other Dominican Republic facts and information that we should include on this page? Use our submission form to contact us with your comments and we will be happy to do a search on your requirement and added it on this page or another relevant section of our website. 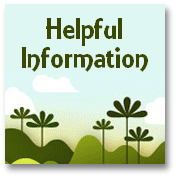 Thanks for your interest in our 'Dominican Republic facts page' and for your visit to our website.